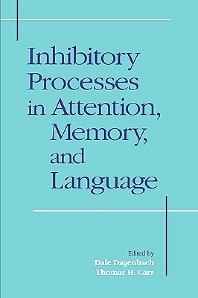 The book identifies how excitory and inhibitory messages in the human nervous system combine and coordinate to affect attention, cognition, memory and language. Communication within the nervous system involves the excitation and inhibition of neurons. How these processes interact to affect cognition and behavioural performance has been an area of ongoing investigation that is once again at the forefront of cognitive research. This volume brings together cognitive psychologists and neuroscientists to identify the neural evidence for inhibitory mechanisms in cognitive processing and discusses how these inhibitory mechanisms subsequently affect cognition and behaviour. The Neurology of Inhibition: Integrating Controlled and Automatic Processes. A Model of Inhibitory Mechanisms in Selective Attention. Categories of Cognitive Inhibition, With Reference to Attention. Temporal Allocation of Visual Attention: Inhibtion or Interference? On the Ability to Inhibit Thought and Action: A User's Guide to the Stop Signal Paradigm. Directed Ignoring: Inhibitory Regulation of Working Memory. Mechanisms of Inhibition in Long-Term Memory: A New Taxonomy. Inhibitory Processes in Perceptual Recognition: Evidence for a Center-Surround Attentional Mechanism. Inhibitory Processes in the Recognition of Homograph Meanings. Phonological Inhibition in Auditory Word Recognition. Inhibition in Interactive Activation Models of Linguistic Selection and Sequencing.